All praise is due to Allâh, Lord of all the worlds. Peace and blessings of Allâh be upon the Messenger, his househod and companions. In this above verse, Allâh calls our attention to a great blessing that He has endowed us with. This blessing is the relationship between man and woman by which isolation is removed, happiness is achieved and peace and tranquility are attained in the life of this world. One should therefore, take care of this blessing and not become a cause for its destruction. Dear brethren! Allâh created His servants with different ability to manage the affairs of their lives and in the ways of achieving happiness in this life and the Hereafter. It is because of this difference that He made some of His servants leaders and others subjects. He chose for them leaders to manage their affairs. He made man the manager of his household and the woman the caretaker of the house of her husband. For the home is the pillar of life, the foundation of its happiness, tranquility and stability. The home cannot stand firm unless the man performs his obligations, takes care of his family and treats them kindly. The same applies to the wife. The Muslim woman should perform her obligations towards her husband and children. For home is the first school of life and the foundation of good behaviour for the children. She must give them sound Islâmic upbringing that will lead to a good life in this world and happiness in the Hereafter. Brethren in Islâm! A great calamity that many people are afflicted with these days is their indifference to the issue of divorce. Some men hastily divorce his wife for the flimsiest reason while forgetting every good she had done him thereby doing injustice to her and his children. At the end, he regrets and becomes distressed for that action. The cause of this irrational act is quick anger, agitation and bad conducts. This action destroys home and puts the family in disarray. In spite of this love and mercy that the husband and the wife find in one another, the woman is still obedient to her husband, takes care of his home and gives him enjoyment. After all this, can any reasonable man have the audacity to harm this woman, inconvenience her, humiliate her, wrong her, beat her and divorce her? 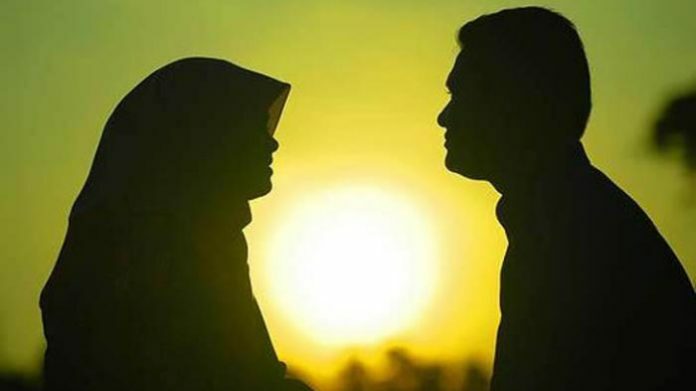 O woman whom Allâh has blessed with honour, respect and chastity and whom Allâh has made the nurturer and the caretaker of a family, hold fast unto this blessing by improving on your conducts and dealing with your husband in the best way, for the husbands right is great. Expect to get reward from Allâh for your obedience to your husband, your service to him, your perseverance and your overlooking of things that do not contradict religion or standard moral conduct. Keep away from evil suspicions, wild accusations and injurious expressions. Learn from marital problems of others and the separations and disruptions that such problems have caused. Dear Muslims! Fear Allâh and be dutiful to Him. Shield yourselves with the patience and forbearance. Overlook some things for yourselves for perfection is unattainable and forgiving other peoples faults is among the noble qualities. Fellow Muslims! Know that Allâh gives some period excellence over others and honours some months, days and nights more than others so that His believing slaves might work righteousness in them. Among these excellence periods is the month of Ramadân which Allâh blessed and made a great season of blessings and forgiveness and elevation of the degrees of His faithful servants. The month is here now. You should therefore receive it with happiness. The month of Ramadân has a night that is greater than a thousand months. Allâh makes fasting of the month obligatory and makes the observation of prayers in its nights a supererogatory duty. Whoever provides food for a fasting Muslim in it will have his sins forgiven, will be liberated from Hell and will have the same reward similar to that of the fasting Muslim without causing any reduction in the reward of the latter. Is Interest Haram Even In The West?